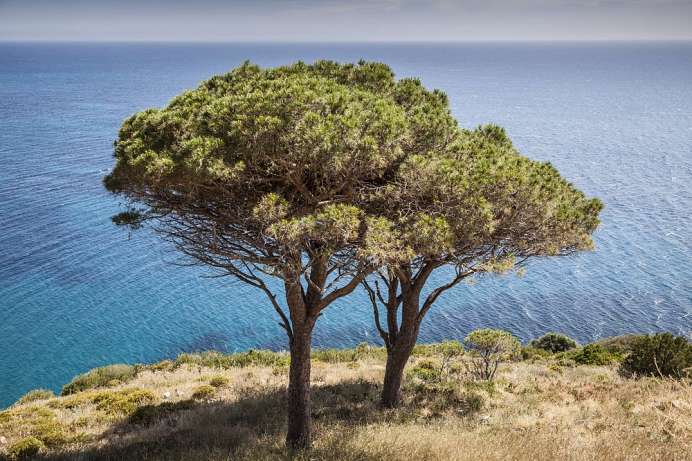 The third largest island in Italy lies about 20 km off the coast of Tuscany. Since ancient times the island has been known for its iron resources. 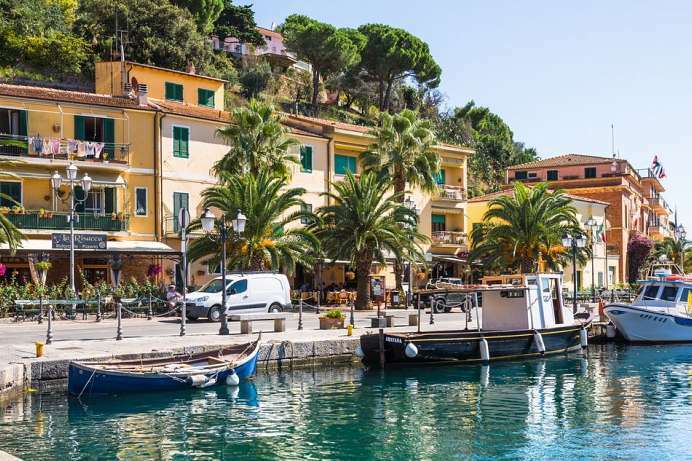 Indeed, the name of the island's largest city, Portoferraio, means Iron Port. 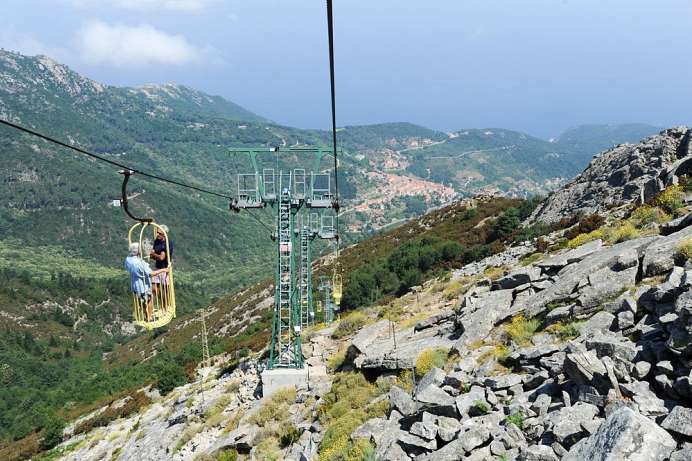 Tourism has been the main means of support for the island's 30,000 inhabitants since the decline of the steel industry in the 1970s. 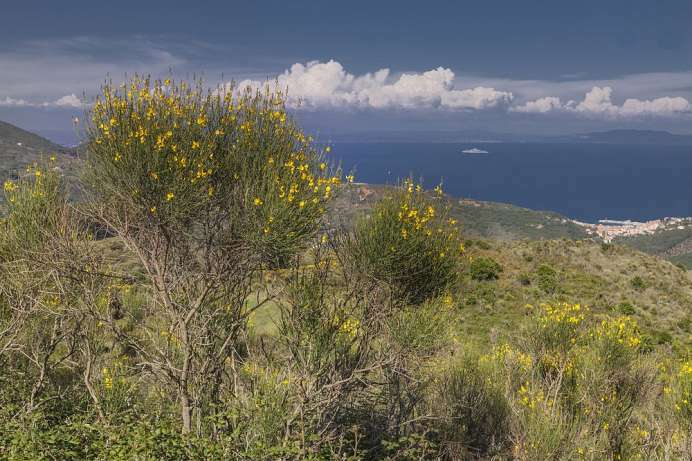 Steep cliffs, sandy beaches, abundant sea life and a mild climate throughout the year make Elba a popular holiday destination. Excavated coins and graves prove that this fortified town on the Calamita peninsula goes back to the age of the Etruscans. With its convoluted stair alleyways hiding small stores and restaurants, the town, situated on the Monte Calamita, has a beautiful view. The Forte Focardo stronghold, which dates back to the Spanish occupation, stands on a rocky promontory. Just outside of Morcone, a road with a cul-de-sac turns right and leads to the 16th century shrine of Madonna delle Grazie. In 1792, it provided protection to French monks fleeing from the Revolution and remained a Hermitage up until the last century. This town, which is the second smallest in Itaty in terms of its area, has a historic old town terraced into the weathered granite cliffs – the ancient fishing quarter of Cotone. The contorted alleys and tranquil squares are lined with faded building facades, with boats moored right behind them. You can take a stroll on the boardwalk to the harbor tower, which was built by the Medici in the 16th century. 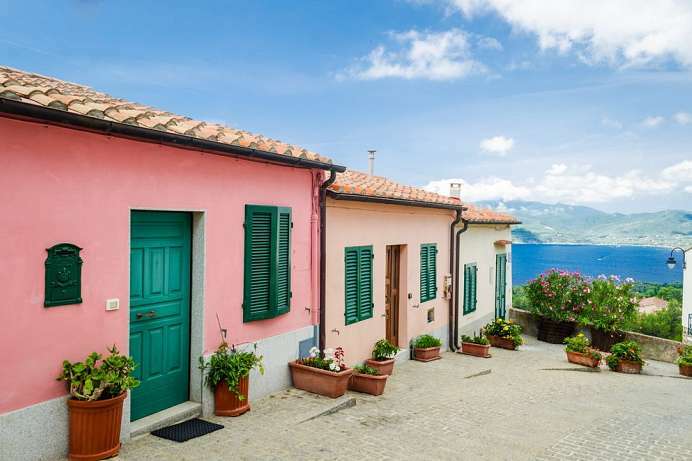 This harbor town, nicknamed the “blue seaport,” is regarded as one of the most beautiful coastal towns on Elba. The port's historic buildings dating from the 17th century attest to the fact that it once played an important role for the mining industry. Yet things have become quieter here ever since the ferries stopped running. The fortress of San Giacomo di Longone looms over the harbor. This star-shaped structure was built by the Spanish in order to protect the port. Now it serves as a prison. The Santuario della Madonne di Monserrato was also built by the Spanish as a smaller version of the Montserrat abbey near Barcelona. 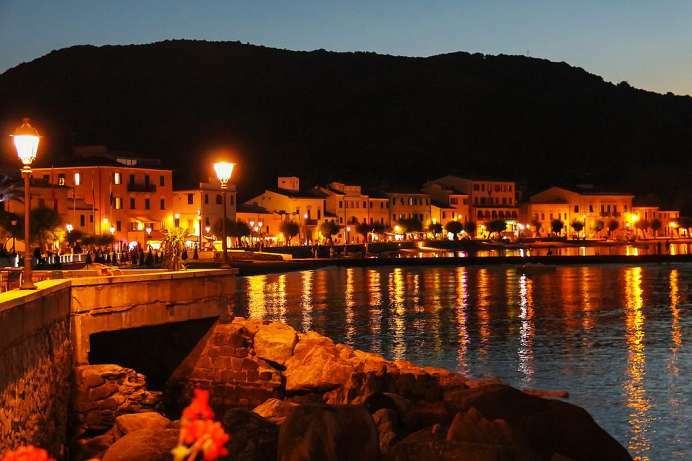 The “iron port” is the main town on Elba and the gateway to the island. This town has been settled for thousands of years by one nation after another. First came the Etruscans, then the Ligurians, and later the Greeks. The Romans eventually came and took over the Iron mines. In 1812, Napoleon began his exile on the island. 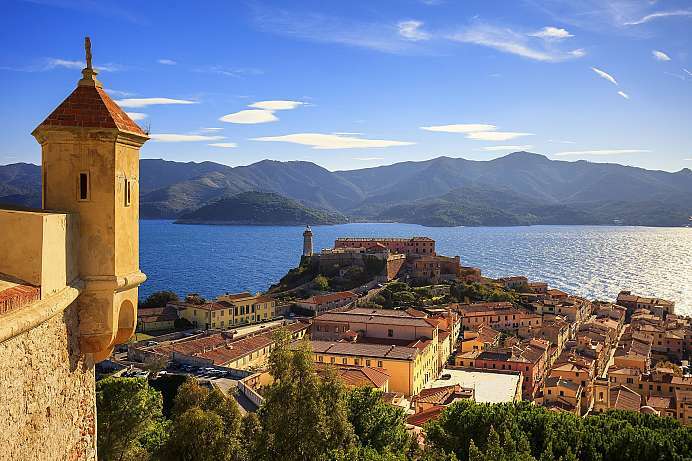 Although he did not even spend an entire year on Elba, he made Portoferraio the capital city and built his winter residence there. Nowadays, you can visit the Villa Mulini, which is a national museum.